Spurs, without Harry Kane and Dele Alli, carved out an impressive win against Dortmund. 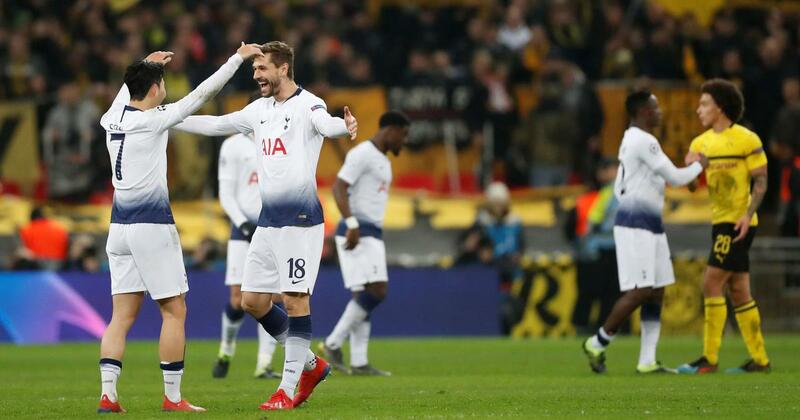 Tottenham Hotspur shrugged off the absence of Harry Kane and Dele Alli to secure an impressive 3-0 win over Bundesliga leaders Borussia Dortmund in Wednesday’s Champions League last 16 first leg. Son Heung-min struck just after half-time at Wembley before late goals from Jan Vertonghen and Fernando Llorente put Spurs in a commanding position ahead of the return clash in Germany on March 5. Mauricio Pochettino saluted his Tottenham “heroes” as they took a huge step towards reaching the Champions League quarter-finals. Pochettino’s side had been under the cosh as Dortmund dominated the first half at Wembley, but Hugo Lloris kept them level with a series of fine saves. That set the stage for a sublime second half from Tottenham, who were sparked into life by a fine finish from Son. Son’s fourth goal in his last four appearances took him to 16 for the season, but none have been as priceless as this one. Tottenham defender Jan Vertonghen capped his own powerful performance when he swept in their second goal in the closing stages and substitute Fernando Llorente’s late third put the seal on a remarkable result. Insisting his players deserved all the praise after emerging from a gruelling schedule with their best result of the season, Pochettino said: “I want to congratulate my players one more time. It was a fantastic game, a massive effort. 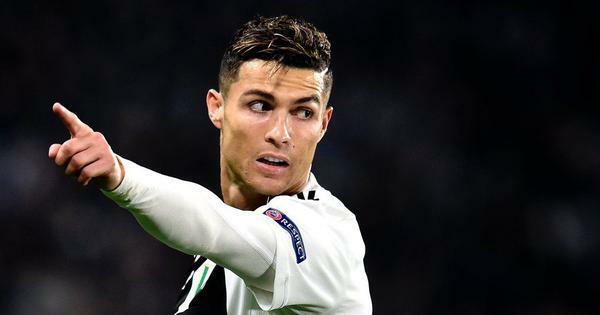 “3-0 is a very good result but it is only the first leg. When you have a team in front of you like Dortmund you need to respect them,” Pochettino said. Pochettino devised a clever game-plan that eventually frustrated Dortmund and secured Tottenham’s first ever Champions League knockout-round win at home. With Rose and Davies sidelined, Pochettino deployed centre-back Vertonghen out of position at left wing-back and switched to a three-man defence that stifled the Bundesliga leaders. “It is my job to prepare the strategy. Maybe today everyone will say it was a fantastic decision. If it was a different result, people might say I’m the worst coach in the world,” he said. “The first half was very difficult. We didn’t feel the confidence to play. Dortmund boss Lucien Favre bemoaned his team’s collapse, saying: “The start of the second half we gave it away. “We should have got the ball forward rather than played from the back for their first goal. That was a gift. Lucas Moura gave Tottenham an early spark when he latched onto Davinson Sanchez’s header and smashed a volley just wide from the edge of the area. Juan Foyth gifted Dortmund their first sight of goal when he dwelt on the ball too long and was alertly dispossessed by Christian Pulisic. But Lloris spared Foyth’s blushes as he blocked Pulisic’s shot at the near post. Dortmund’s rapier attacks were led by teenager Jadon Sancho, who left Manchester City to join Dortmund in 2017 without ever playing for the Premier League team. Lloris made a superb save to deny Dortmund on the stroke of half-time as Dan-Axel Zagadou met Sancho’s cross with a header that the Tottenham captain clawed out at full stretch. When Vertonghen swung over a cross from the left, Dortmund’s defence were out of position for the first time all night and Son timed his run perfectly behind Zagadou to caress a fine volley past Roman Burki. Suddenly, Dortmund had no answers to Tottenham’s high-tempo pressing and it was Vertonghen who was the hosts’ unlikely hero in the 83rd minute as he volleyed home from Serge Aurier’s cross. Tottenham were rampant and Llorente completed a memorable night when he glanced a close-range header past Burki from Christian Eriksen’s corner three minutes later.